A 55-year-old man presented to the clinic for a comprehensive eye exam. He had undergone RK surgery over 20 years ago in both eyes. His prior contact lenses included soft toric lenses, soft multifocal lenses and soft monovision lenses. 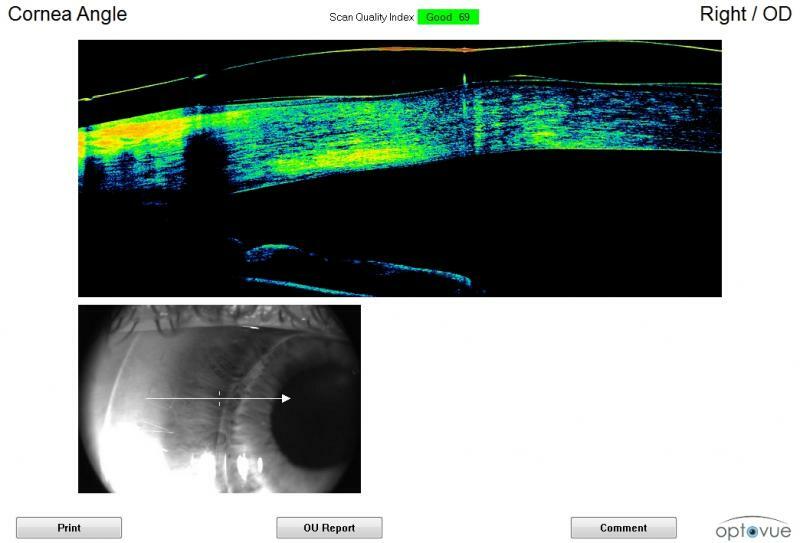 We had tried scleral lenses in the past, and he did achieve good vision with them. However, he could not master insertion and removal, so he discontinued the scleral lenses. At this year’s exam, we decided to attempt a hybrid lens fit. The Ultrahealth FC lenses were selected due to their indication for oblate corneas. After multiple lenses were trialed, the best fitting lens OD had a 355 um vault. However, the NaFl pattern and OCT showed a bit of tightness at the junction, so we ordered the OD lens with a steep skirt (Fig 1 and 2, below). The best fitting lens OS had a 305 um vault, and the NaFl pattern and OCT confirmed appropriate clearance in the junction (Fig 3 and 4, below). Both lenses exhibited about 95 um of central clearance, which will likely decrease a bit when the patient wears the lenses all day. 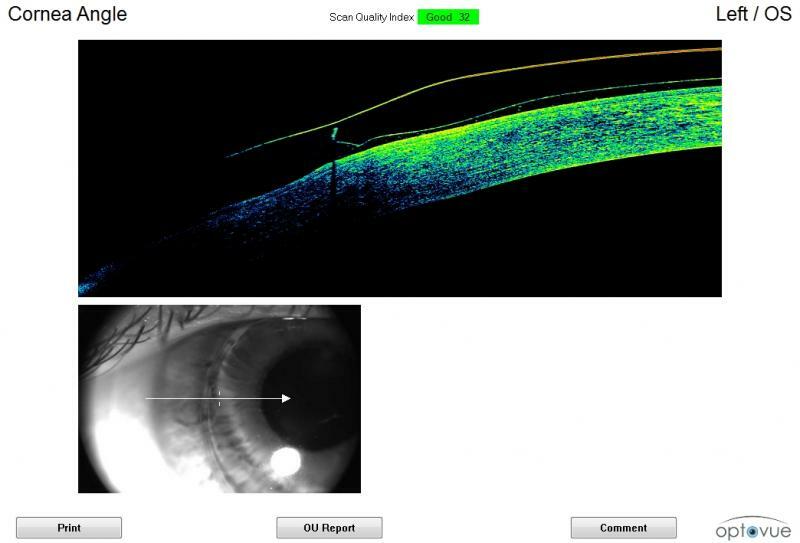 During the diagnostic fitting, the patient claimed that the OS lens was more comfortable than the OD lens, but he did state that both lenses were fairly comfortable. The patient showed up for his dispense visit. The OD lens (that had too tight of a junction) was changed to a steep skirt (see OCT image, Fig 5, below). The lens fit looks much better now. At the dispense visit the patient is seeing 20/20 far and 20/25 near with theses lenses. In summary: this case report shows that hybrid lenses can be a great alternative to other lenses - also for the oblate cornea - and that it can be a good addition to the portolio of lenses available in any specialty lens practice. 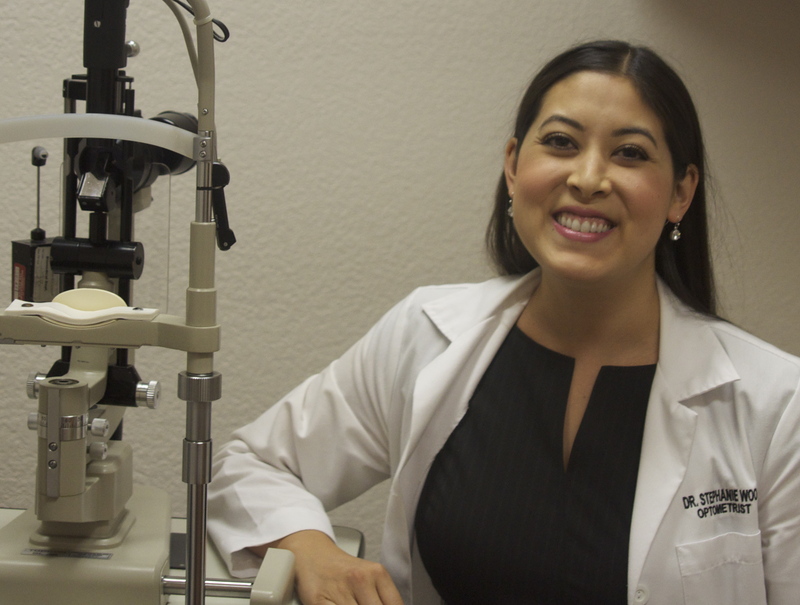 Dr. Stephanie L. Woo graduated from the Southern California College of Optometry and completed a Cornea/Contact Lens residency at the University of Missouri - St. Louis. She is a Fellow of the American Academy of Optometry and a Fellow of the Scleral Lens Education Society. She is a contributing author for the American Optometric Association Contact Lens and Cornea section, and she is the author of the "GP Expert" column for Review of Contact Lenses.